Yes, I know this is a blog about all things sweet, however, fruit is sweet enough to hold its own against any candy. 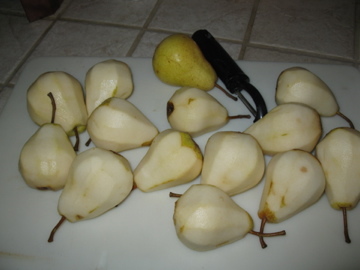 Read on…..
It’s Fall and our town is full of trees heavy with pears. Many of these trees are on vacant lots, so it’s free-pickin’! 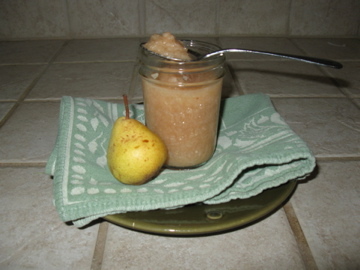 Here’s my recipe for pear sauce. It freezes well, and makes an excellent substitute for half of the oil in baked goods. It really is too easy, the hardest thing is peeling the pears. 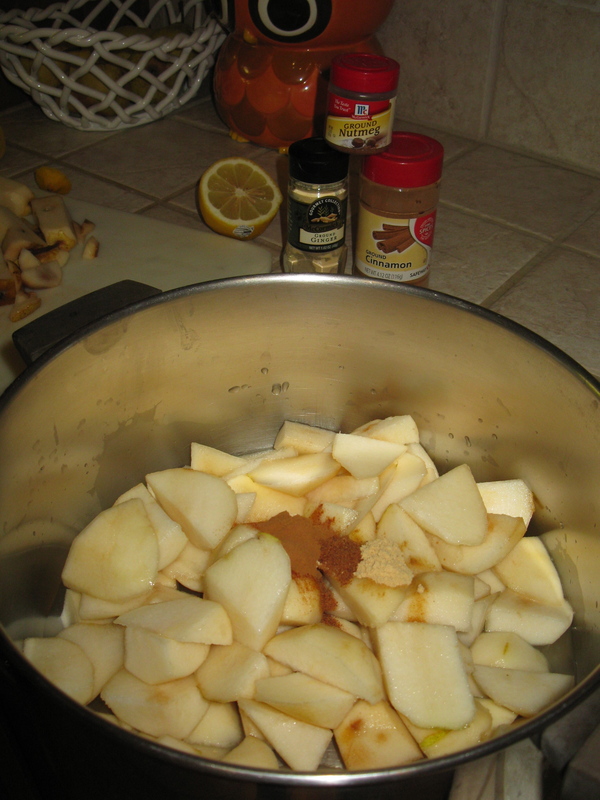 1. place pears in a large sauce pot and pour water and lemon juice over the top. Sprinkle cinnamon over the top and stir. 2. 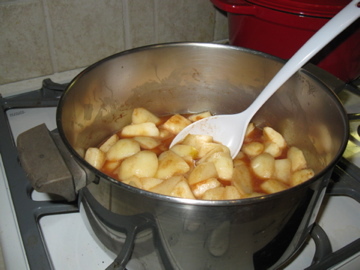 Cook on medium heat, stirring occasionally, for about 20 minutes or until pears get soft. 3. Remove from heat and let cool. Transfer to a food processor, and puree, or use an immersion blender to get the sauce to the consistency that you like. *If you like a little vanilla, add 1/2 tsp at stage 3. If you prefer not to have any spices, you can leave them out. Store in the refrigerator in cute canning jars to remind yourself that it’s homemade. Posted in Cinnamon, references, recipes. Bookmark the permalink. Thank you so much for the pear sauce idea. I love pears and will make this soon. This sounds great, and I like the idea of using it in baking!